How is everyone? This week has been taking its toll on me due to excessive amounts of coursework and revision for my mock exams which are next week. I am so stressed out! 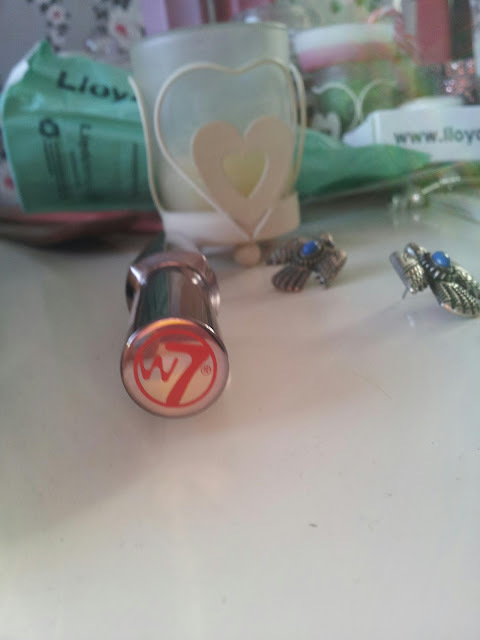 But what's better to cheer me up than find this amazing beauty product from W7 for only £2.49 from my local BOYES store (It is around £8 on W7's website)? I've never heard of this mascara until I saw it in the shop, and of course I had to buy it, not just because it looks exactly like Benefit's They're Real mascara but mainly because of the price! 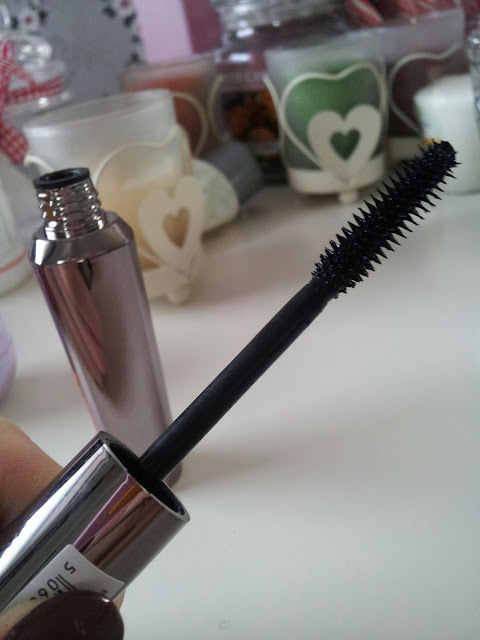 So as you can see, this mascara looks identical to the Benefit's one besides the fact that it is called Absolute Lashes. 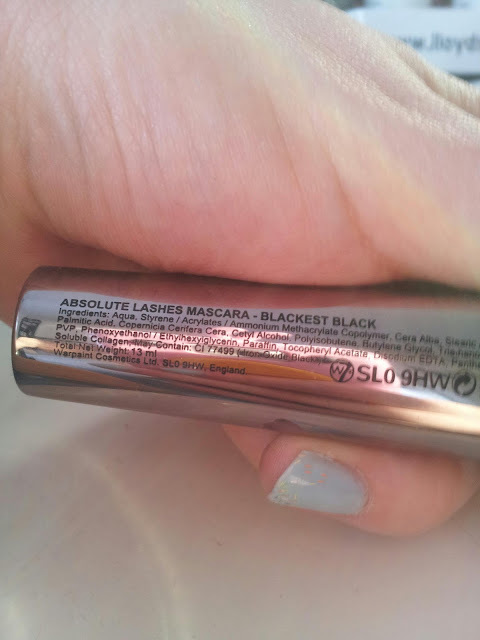 I would say this mascara is an amazing dupe, even better than the one you can buy on eBay which actually has the same packaging as They're real. 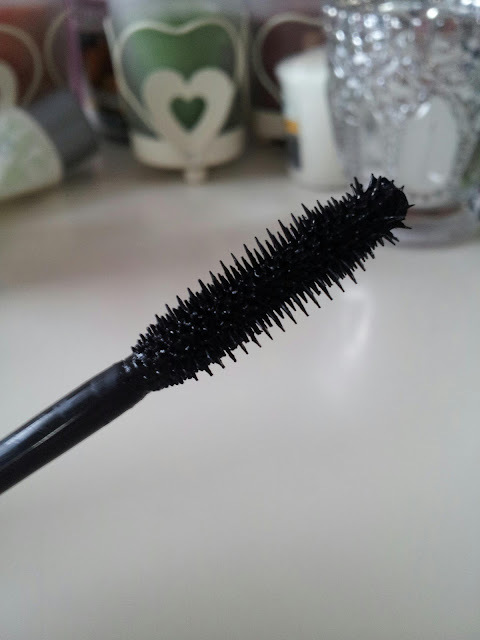 Here is a picture of the mascara's wand. As you can see (if you own They're Real) it looks identical to the original. It's very easy to apply onto your lashes and covers them fully from the root with just one layer. I have really fair lashes and would say that this is one of the best mascaras I've ever used. Here's a close up of the wand, and you can see that the bristles are made out of rubber for easier application, however they aren't too stiff so it doesn't irritate the eye. This picture shows the finished look on my lashes. I have used 2 coats and you cannot see any blonde, yay! This mascara is truly amazing, so easy to apply and oh so affordable! 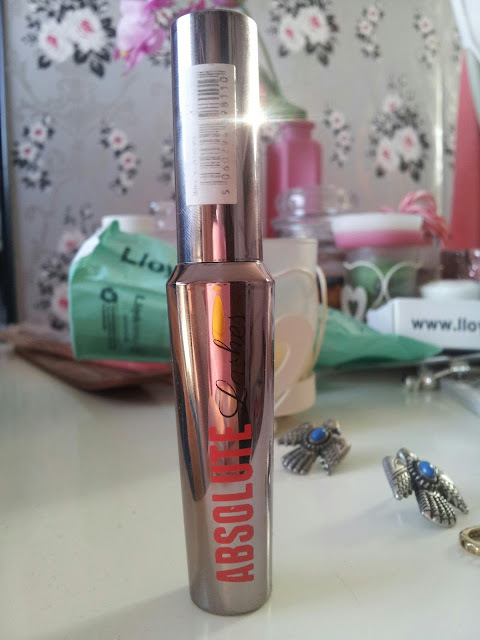 I suggest all you Benebabes go and try this mascara and see for yourselves! Should you splash out on They're Real or save money on Absolute Lashes? The decision is yours! This mascara looks amazing and so are the results! Have heard so many great things about it. Wow, this mascara looks amazing! It definitely looks like a dupe for Benefit They're Real, which I love (but cannot justify spending the money on). Your lashes look lovely!